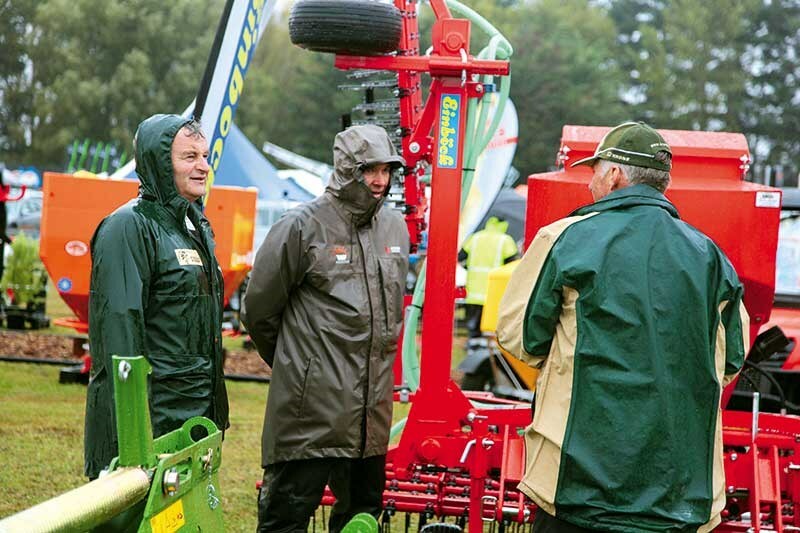 In spite of wet weather, crowds still flocked to see what was on display at Central Districts Field Days at Manfeild Park in Feilding last month. 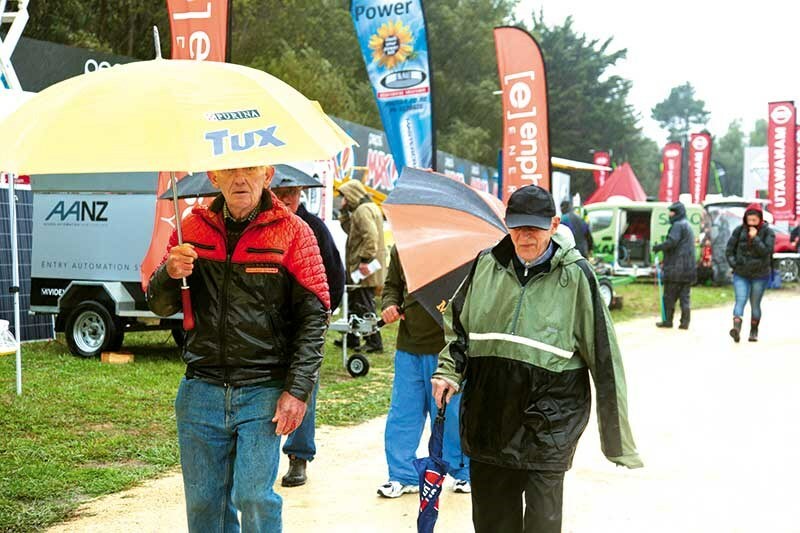 Farmers are used to the rain so they were well prepared for the wet weather on the first day of Central Districts Field Days. They were smirking beneath the brims of their hats at any townies that had come dressed in flimsy clothes and looked utterly miserable. If it’s one thing working on the land (or with heavy machinery) does, it makes you wear sensible gear. 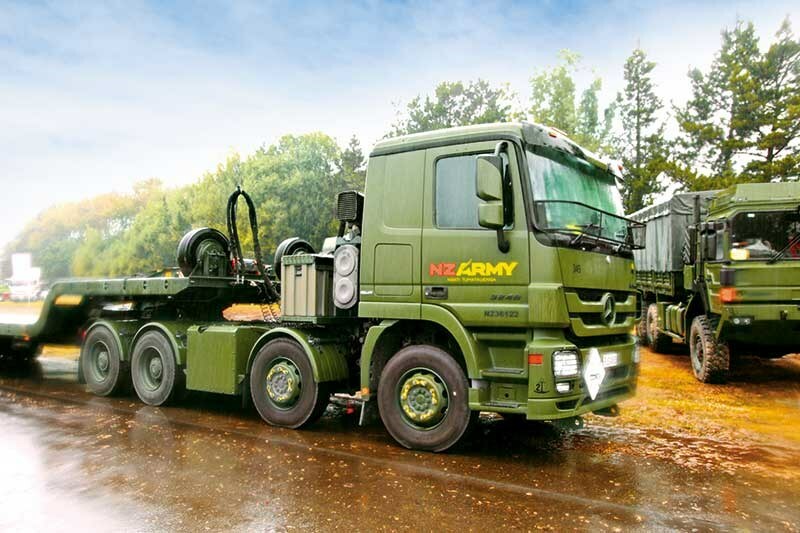 But rain is liquid gold for famers and besides, the New Zealand Army had its big trucks and a couple of tanks to pull anyone out anyone who got stuck. 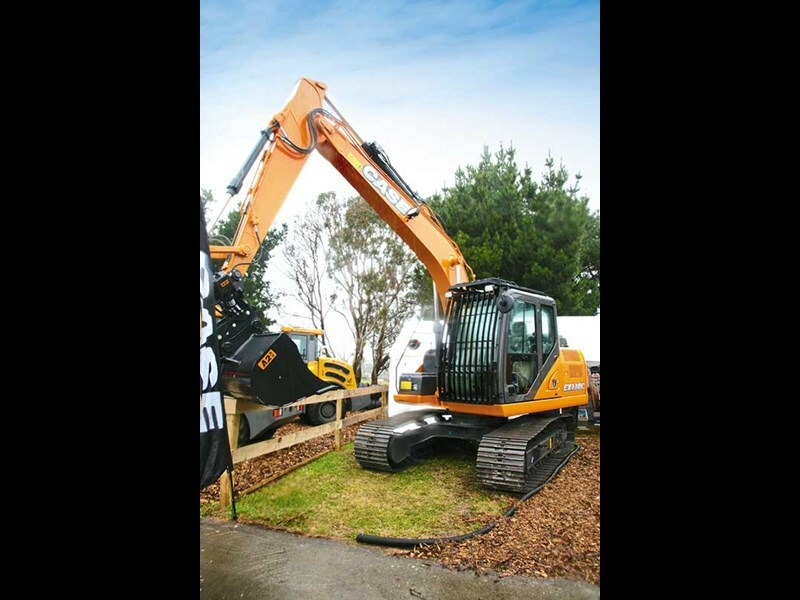 Noticeably quiet on the Thursday were the excavators – they looked a bit sad with their digger arms aloft and empty seats, where normally, there’d be a crowd watching the National Excavator Championships. 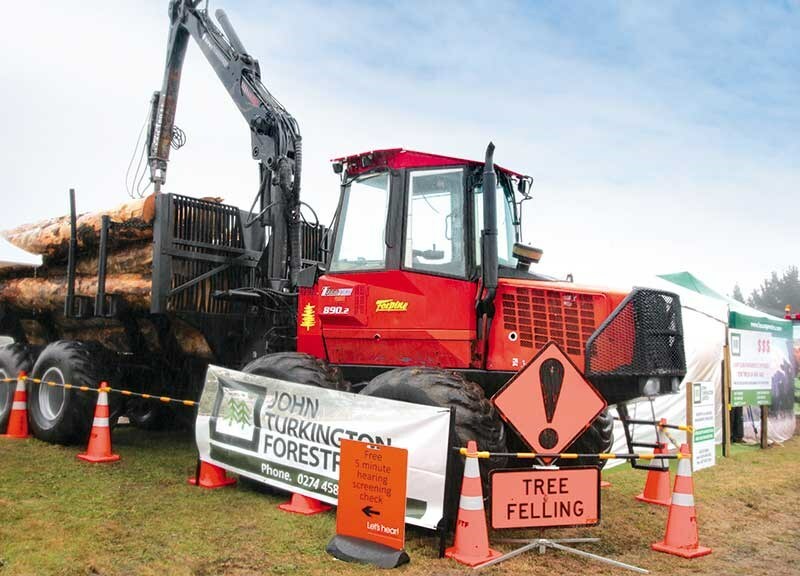 However, on the following days the weather came right, enabling the usual line-up of favourite events, such as the tractor pull and wood chopping to go ahead. 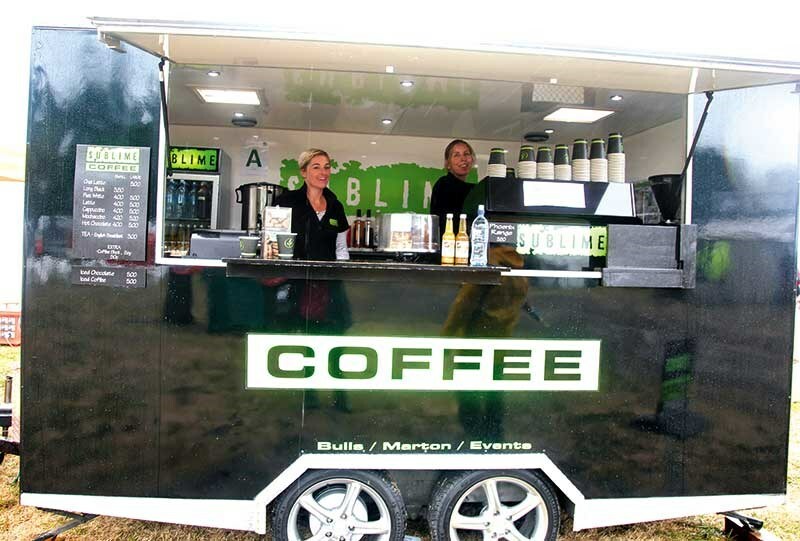 There were 29,500 visitors through gates and an increased number of exhibitors – 586, compared to 570 last year. 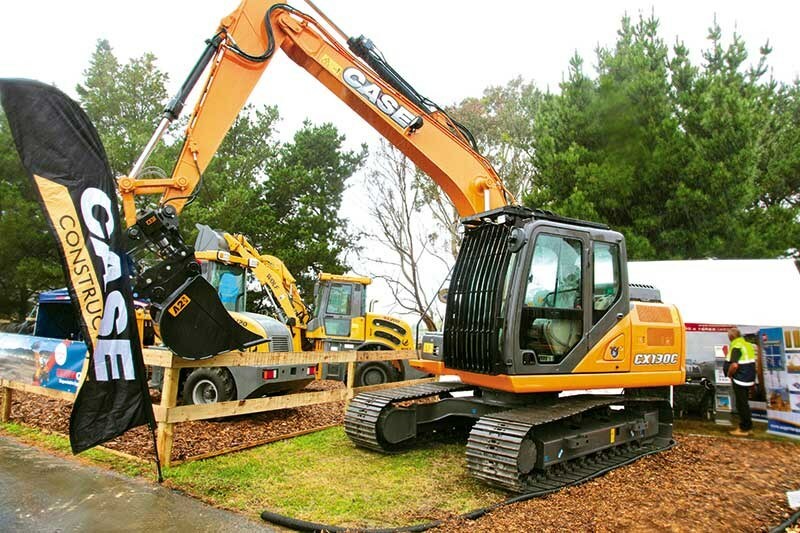 At the AdvanceQuip stand, we checked out the Case CX130C excavator. Advancequip salesman Jerry McLean says, "It has the new series Isuzu engine, heavy-duty boom, big comfortable cab, rear-view camera and excellent visibility. 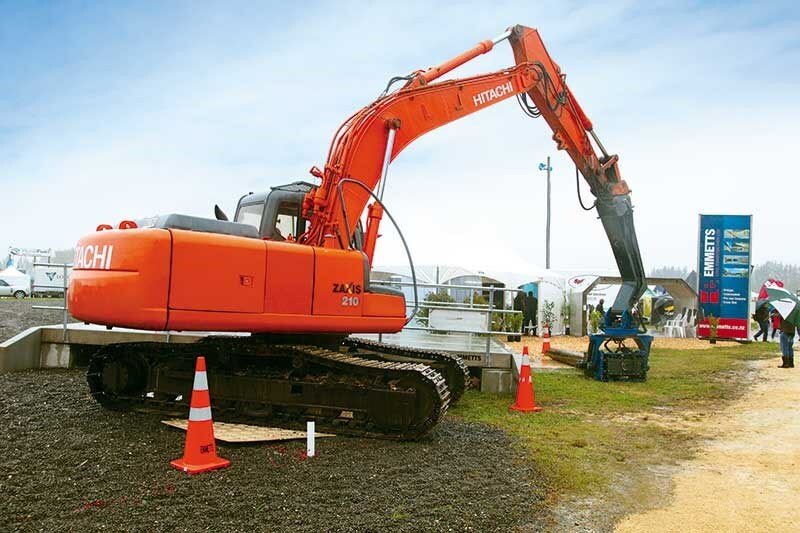 These are attracting the attention of contractors and machine operators within the construction industry, who comment on the fuel economy and the smoothness. The response has been very good as this is a well-known brand internationally, made in Japan and widely regarded as amongst the best available." Next up, at Gough Cat’s stand, we noticed a big yellow beast that looked as if it could do some serious damage to a pile of aggregate. 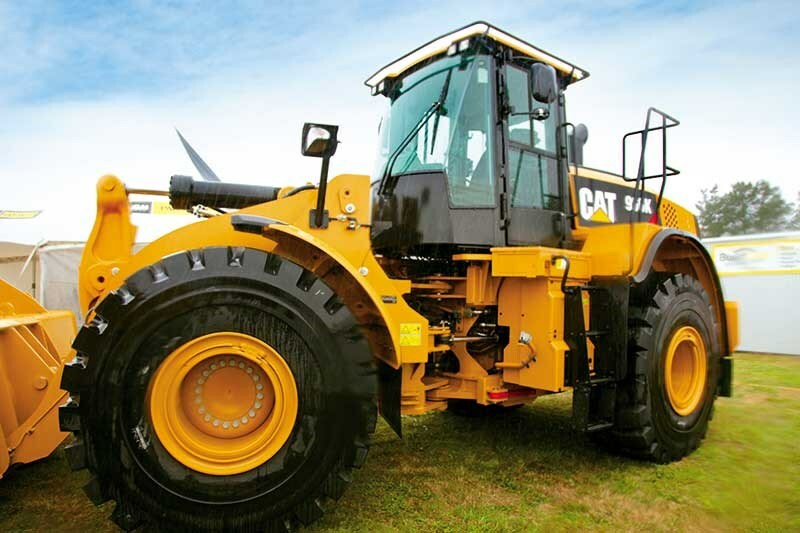 The new Cat 966K wheel loader. Gough Cat’s territory sales manager, Carl Southee says, "New features include its 4.8-cubic-metre Cat performance series bucket, designed for an increase in production and fuel savings to the customer. 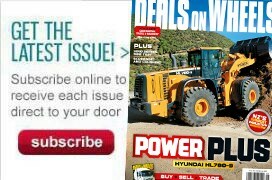 It is the first wheel loader for us with a dedicated joystick steering and bucket control, no steering wheel at all." As a piece of eye-catching machinery, it did the trick as it had already been sold, says Southee. As far as trucks go, Robertson Isuzu from Palmerston North, featured the brand-new GIGA series CYJ530 AMT belonging to Boyd Nodder Carriers (Palmerston North) and the Isuzu CYZ 460. 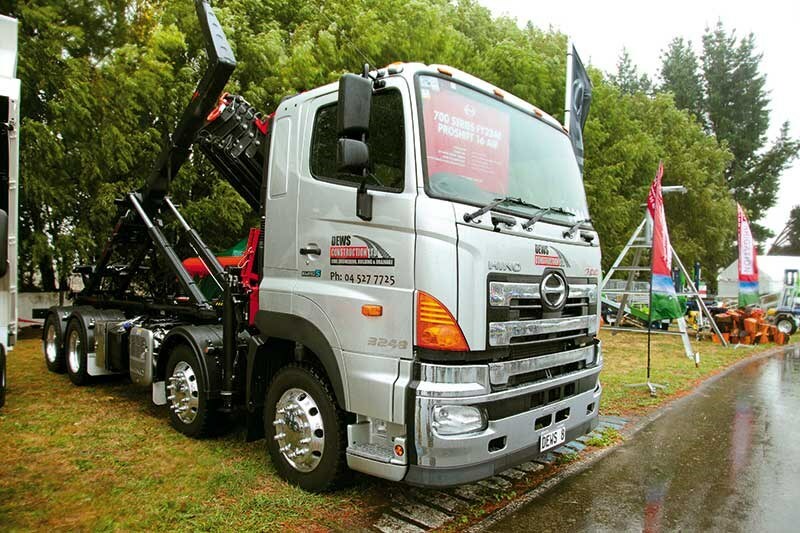 Sales manager at Robertson Isuzu, Ian Renner says, "We had quite a lot of interest, mainly from beekeepers, on the four-wheel drive, a few looking at the CYZ460 tipper and many positive comments on Boyd’s truck." 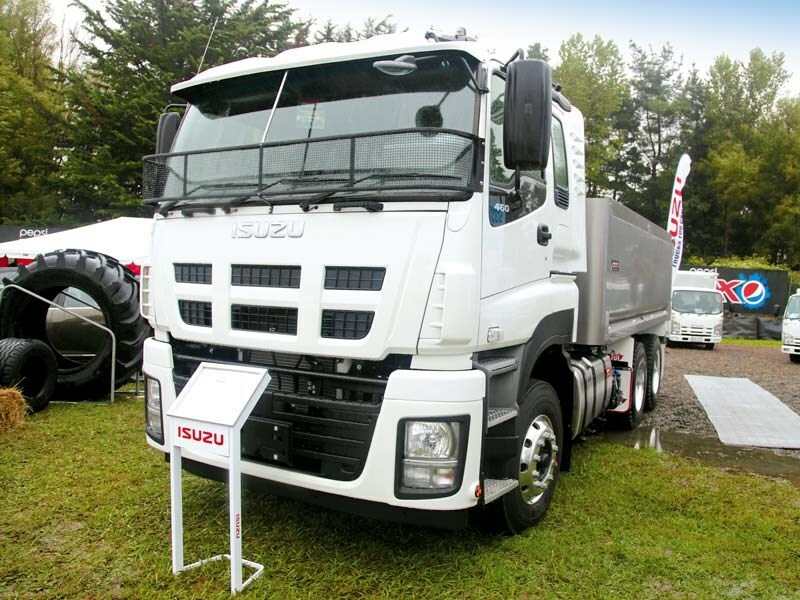 According to Isuzu, the GIGA series features a remarkable combination of clean yet more powerful and fuel-efficient engines, outstanding safety features and intelligent design. It’s not surprising that the GIGA series is part of the Isuzu range that has been New Zealand’s top-selling truck for 15 consecutive years. Another truck that caught our eye for its sharp colour scheme and specialist trailer was the Hino 700 series FY3248 Proshift 16 air, owned by Dews Construction in Upper Hutt. 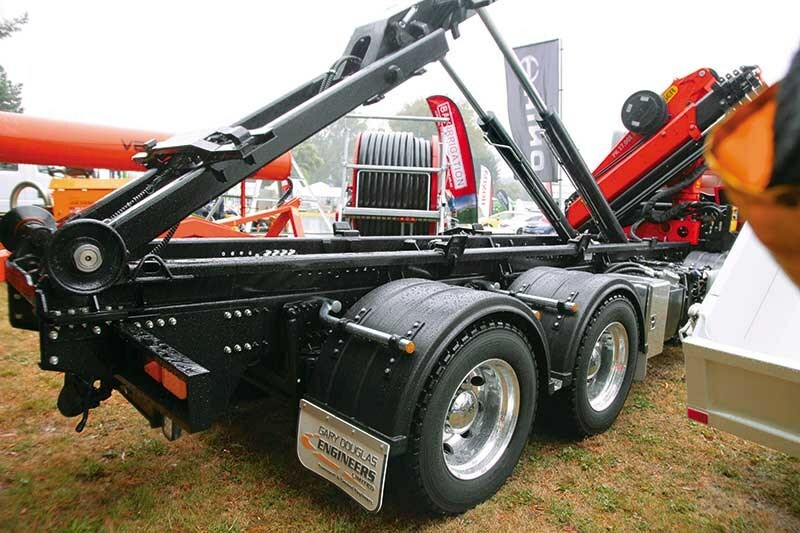 This new truck is very impressive and has been fitted with a Palfinger PK17 crane, T20 hookloader, and 40mm ringfeder trailer gear. 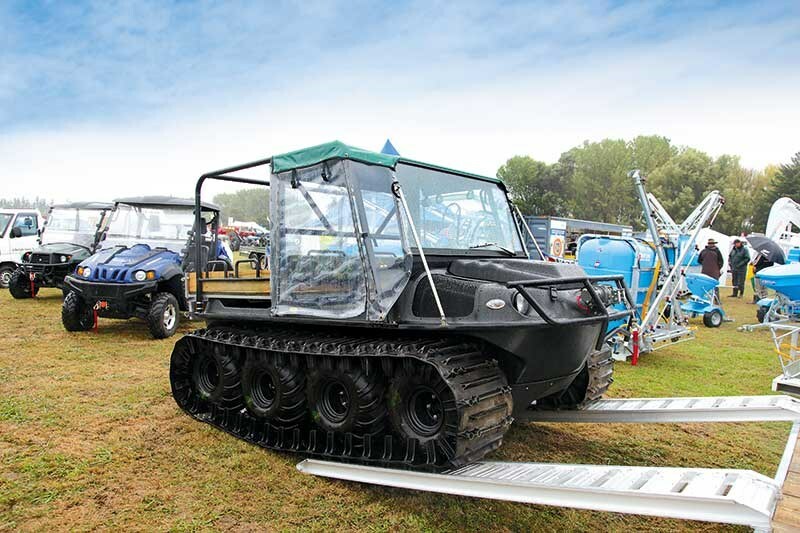 It can change from a tipping bin, and flat deck with a small bulk tipper; to a self-contained hydro vacuum excavator, thanks to three different bodies built by Gary Douglas Engineers. This flexibility allows the truck to be used for a variety of applications including recent work on the MacKays to Peka Peka road project. The large crane is particularly useful on big building structures and bridges.